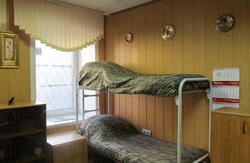 Anmar hostel is situated in the center of Saint-Petersburg (Central district), in several minutes’ walk from Nevsky Prospect, the main avenue of Saint Petersburg, Moscowsky Train Station, from Mayakovskaya metro station, Vosstaniya Squire metro station, Alexandr Nevskiy Squire metro station. Anmar hostel is surrounded by such sights as: The Smolny Cathedral, The Tauride garden, The Hermitage, The Spaso-Preobrazhenskiy Cathedral, The Summer garden, The Engineer's castle, The Alexander Nevsky Lavra, The Suvorov Museum, The Kazansky cathedral. This location gives you an opportunity to enjoy the walking along the beautiful streets, prospects, embankments, to see the drawbridges, to make a boat trip along the rivers and canals of the “Northern Venice”. Anmar hostel is surrounded by a great number of coffee houses, pubs, night clubs, theaters and restaurants for every taste and range of prices. We offer our guests a wide range of services for comfortable living: modern home and office appliances, cozy furniture in rooms and lobbies, free Wi-Fi, land-line phones, Skype, clean rooms with fresh bed linen and towels. In the case when you have special wishes and personal requests our receptionists will try their best to help you. 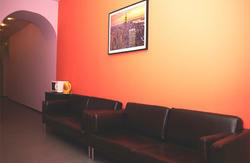 Hostel provides an accommodation for 34 persons (+6 additional beds). There are 3 bathrooms in the hostel with a basin, WC, and a shower cabin in each of them. Taxes are included, except the registration fee which is 118 RUB extra. 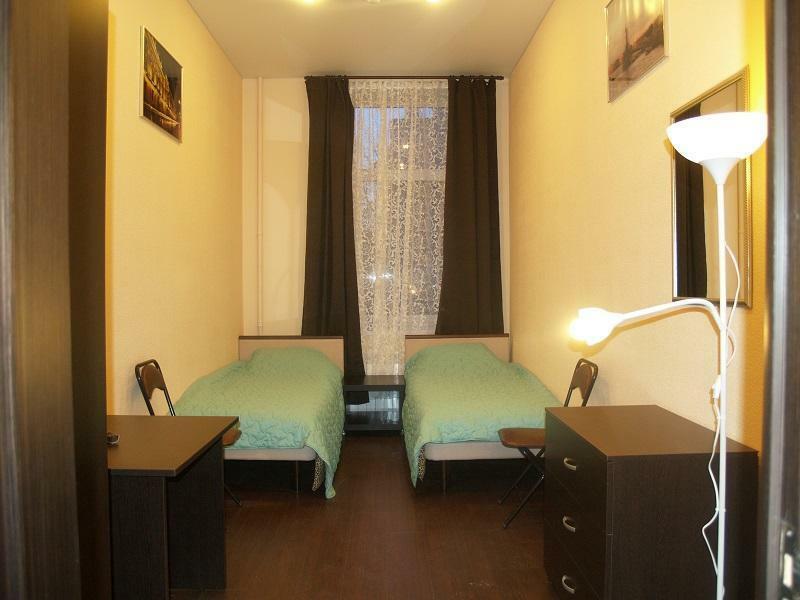 To get Anmar Hostel (from the Ploschad Vosstania Metro Station), please, walk down the Nevsky Prospekt 350 meters, turn to the left to Bakunina street and walk 230 meters, then turn to the left to Mitninskaya street and walk 500 meters.